Why should simple/organic churches network together? According to Ephesians 4, Christ has given gifts to the church. These gifts are people whom the Holy Spirit uses in specific ways. They are the apostles, prophets, evangelists, pastors and teachers. They work together to help the body to mature fully and in every aspect of body life. They do this by equipping everyone in the body to do the work of ministry (Ephesians 4:12-13). .
One of the reasons it is important for simple/organic churches to network together ties up with five-fold ministry. However, a network of churches is more likely to have all these gifts which Christ has given to the body to help it mature. Within a network, therefore, if one of the churches recognizes that it is becoming inward looking, they could invite someone with an evangelistic gift to come and help them. If they are lacking in care for different people within their group, a pastor could help them to do this more effectively. Christ has fully equipped the body to demonstrate his life to the world. That’s a good reason for us to network with legacy churches that are willing as well. The burgeoning discussion of the “AND” is certainly timely for this. A very intriguing concept that I’ve tried in the distant past. 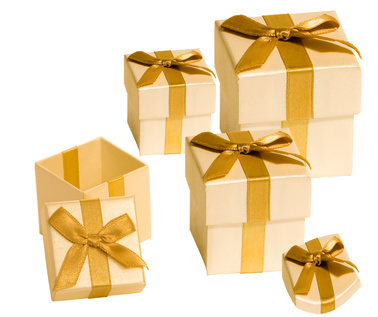 Your gift concept will have to be studied more closely. Hope you receive much feedback on this. I agree. You didn’t really specify, but are you referring to local, physical networks? I think that online networks can also be beneficial to help local networks “find” each other. To do this, I have used H2H and Simplechurch.com. I have also started GraceGround.com for people to use as well. Why isn’t it important for ALL churches to network together? I understand the idea of simple/organic and traditional church, but isn’t identifying ourselves by the “type” of church we are the problem we are facing in traditional circles. If we are after unity in the BODY should we not network without specifying what kind of brothers with whom to network? Seems as though we should work together no matter what network/denomination we fellowship with. Let us not become what we are trying to fix. Structure is a symptom of the problem. PEOPLE have always been the problem. “Christ has fully equipped the body to demonstrate his life to the world.” That body includes all who are in Christ, no matter the network they fellowship with. I understand the motive of this post was not intended to be what I addressed, but it should cause us to consider how to communicate so not to limit God to simple/organic/traditional ministry. Mike, point taken! I’m on my way to India tomorrow, and so have written several blog posts in advance. One of them talks about the city church. I see the distinctions between us blurring more and more all the time. When the Kingdom and the King is our focus, all our man-made barriers will fall away and together we will reach out to our cities for Christ. Previous Previous post: Teachers in house churches?